The mounting concern for optimizing healthcare costs among myriad healthcare providers and payers is a key factor boosting the demand for predictive analytics in the healthcare sector. The ever-growing need for boosting patient outcomes and improving the quality of care is a seminal trend boosting the evolution of healthcare productive analytics. In recent years, there is a surging interest among payer organizations and several healthcare institutions in using predictive tools for mediating hospital readmissions. This has especially gathered steam in monitoring a growing number of elderly patients and pediatric populations. The functionality of predictive discussions in simplifying admission scores for such patients has gained significance among researchers and clinicians. In addition, they are gaining adoption in the management of chronic diseases and various cancer types. A number of hospitals are considering the role of healthcare predictive analytics in minimizing financial and reimbursement penalties. Furthermore, predictive analytics are being considered helpful in supporting evidence-based medicines and further in realizing the goal of standardized patient outcomes. To reap the full potential of various predictive analytics models within the healthcare industry, it is essential that the stakeholders furnish an integrated and comprehensive set of healthcare data. In addition, concerted efforts by decision makers to implement these solutions are important. Several factors need to be meticulously considered to leverage the full potential of predictive analytics in various healthcare settings. For instance, it is more prudent to develop predictive analytics for some specific clinical settings or patient needs than for a generic parameter. The global market for healthcare predictive analytics is estimated to grow at a progressive rate in the next few years. The rising pressure on consumers due to the high cost of medication and the increasing popularity of personalized medicines are expected to augment global healthcare predictive analytics market in the next few years. The research study throws light on the key factors and potential opportunities that are anticipated to encourage the growth of the global market in the coming years. In addition, an in-depth analysis of the competitive scenario has been included in the scope of the report. Several developing nations across the globe are facing issues due to the tremendous rise in the cost of medication. As a result, governments worldwide are making notable efforts to offer quality and cost-effective services to consumers. This is expected to boost the demand for healthcare predictive analytics throughout the forecast period. In addition, the rising demand for personalization for patient care with the use of advanced technology is anticipated to encourage the growth of the overall market in the near future. On the flip side, several privacy issues and data theft are predicted to restrict the growth of the global healthcare predictive analytics market in the next few years. In addition, the lack of skilled professionals is projected to hamper the growth of the global market in the near future. Nonetheless, the key players in the market are making efforts to overcome these challenges and create an awareness regarding the advantages of implementing healthcare predictive analytics. This is likely to supplement the growth of the market in the market in the coming years. The global market for healthcare predictive analytics has been divided on the basis of geography into Europe, Latin America, North America, the Middle East and Africa, and Asia Pacific. According to the research study, in the last few years, North America held a key share of the global market and is expected to remain in the leading position across the forecast period. The significant contribution from the U.S. and the availability of skilled workforce are some of the major factors that are anticipated to encourage the growth of the North America healthcare predictive analytics market in the near future. Furthermore, Asia Pacific is likely to witness a healthy growth in the coming few years, thanks to the economic development in this region. The rapid development of the information technology industry and the tremendously rising IT outsourcing are estimated to fuel the growth of Asia Pacific market in the forecast period. 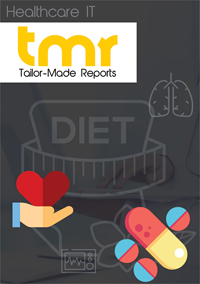 The research study has provided the forecast statistics related to the regional segments of the global healthcare predictive analytics market. The study presents insights into the vendor analysis of the healthcare predictive analytics market across the globe. The company profiles of the prominent players in the global market have been listed in the research study to offer a strong understanding of the market. In addition, the business plans that are being used by these players have been discussed in order to guide the market players in making effective business decisions in the near future. Some of the key players operating in the global healthcare predictive analytics market are Optum, Inc., Allscripts, Verisk Analytics, Inc., SAS, IBM, MedeAnalytics, Inc., McKesson Corporation, Oracle, and Cerner Corporation. A rise in the number of strategic collaborations and the rising focus on new product development are anticipated to supplement the growth of the global healthcare predictive analytics market in the next few years. Moreover, advancement in technology is another key factor propelling the global market.